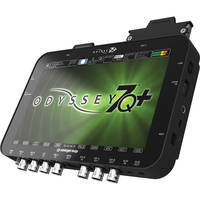 Convergent Design Odyssey 7Q+ OLED Monitor & Recorder - NOW AVAILABLE! The Odyssey7Q+ is the most advanced, most capable, most versatile monitor/recorder in the world, monitor/recorder that provides all of the features and functionality of the Odyssey7Q but adds support for 4K recording over HDMI. It features a 7.7", 1280 x 800, OLED, touchscreen display with a 3400:1 contrast ratio, true blacks, and advanced image analysis tools, including waveform, histogram, false color, and built-in display LUTs. Out-of-the-box, the Odyssey7Q+ can record up to 4K/UHD in the compressed Apple ProRes 422 HQ format or up to 2K/1080p using the uncompressed DPX file format. Additionally, it supports several RAW recording options for ARRI, Canon, Sony, and POV cameras. Convergent Design Odyssey 7Q+ OLED Monitor & Recorder is available for hire from RENTaCAM Sydney. 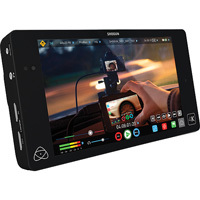 The Atomos Shogun 4K HDMI/12G-SDI Recorder and 7" Monitor combines a color-calibrated 1920 x 1200 resolution display with 4K video recording and edit-ready codecs. The Shogun utilizes 4K HDMI and 12G-SDI inputs to record clean output signals at resolutions up to UHD 4K (3840 x 2160) at 23.98, 24, 25, 29.97, and 30p, as well as Full HD (1920 x 1080) video up to 120 fps when used with capable cameras. The ultimate purpose of a field monitor is to be able to see what you are shooting. 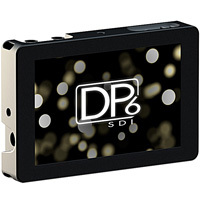 The DP6 delivers HD at 1280x800 resolution, making it the smallest HD monitor available. Simply put this means you truly see what you get, so there are no surprises in the editing room. 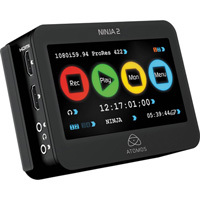 Atomos Ninja-2 field recorder - now available! 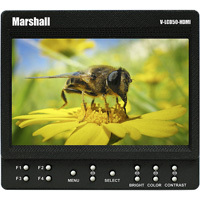 The V-LCD50-HDMI 5" monitor with HDMI by Marshall is packed with features found in more expensive models. This compact LED-backlit confidence monitor offers amazing picture performance and excellent viewing angles for users simply looking for a portable, yet versatile monitoring solution. Marshall 5" HDMI 800 x 480 Monitor is compatible with Canon EOS cameras (5D Mark II, 7D, ..) and is available for hire from RENTaCAM Sydney. 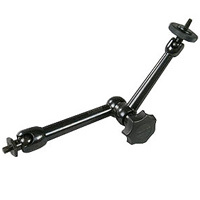 The Noga Cinematic Arm with 1/4"-20 Screw from Noga is an adjustable versatile arm for holding your monitor in virtually any position. Noga cinematic arms are now available for hire from RENTaCAM Sydney.